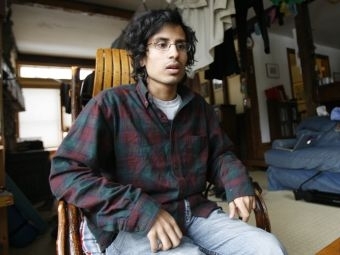 Middlebury College junior Tik Root was studying abroad in Syria when he happened upon a protest in the Old City of Damascus. When he pulled out his BlackBerry to take a photograph, he says he was grabbed by plainclothes police. He was taken to a jail, interrogated and detained for more than two weeks. He didn’t know what was happening. Neither did his parents. Root credits Sen. Patrick Leahy and both the Syrian and American ambassadors with helping secure his release. We talk to Root about his experience, and to Professor Joshua Landis, Director of the Center for Middle East Studies at the University of Oklahoma and author of the blog "Syria Comment," about Syrian politics and history. Send your questions and comments to vermontedition@vpr.net. And pipes made for smoking tobacco come in all shapes and sizes. When it comes to sand-blasted pipes made from briarwood, one of the world’s foremost creators plies his trade in Burlington’s New North End. We visit the dusty workshop of Jim Cooke, maker of JT Cooke Pipes, to learn how it’s done.